In 2013, cybercrime cost large organizations an average of $11.6 million, a 26% jump from 2012. Today’s sophisticated attacks can result in the loss of intellectual property, damage to a company’s reputation, and disruptions in essential operations. Unfortunately, security teams often focus on detecting and remediating breaches rather than devoting the necessary resources to prevention. Luckily, an innovative new option has emerged: Your organization can now protect its valuable assets, increase the efficiency of its IT department, and provide cost-effective, integrated security through the use of advanced labor-saving automation. 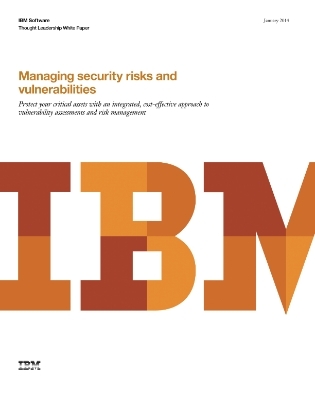 Read now to learn about a platform that incorporates vulnerability analysis, risk management, and remediation support, all within a single console. Don’t miss this opportunity to increase your organization’s focus on prevention before an attack occurs.